8 weeks of private Botanical Print coaching to deepen your skills and grow as an artist. Are you confused by the Eco Print and Natural Dye terminology? 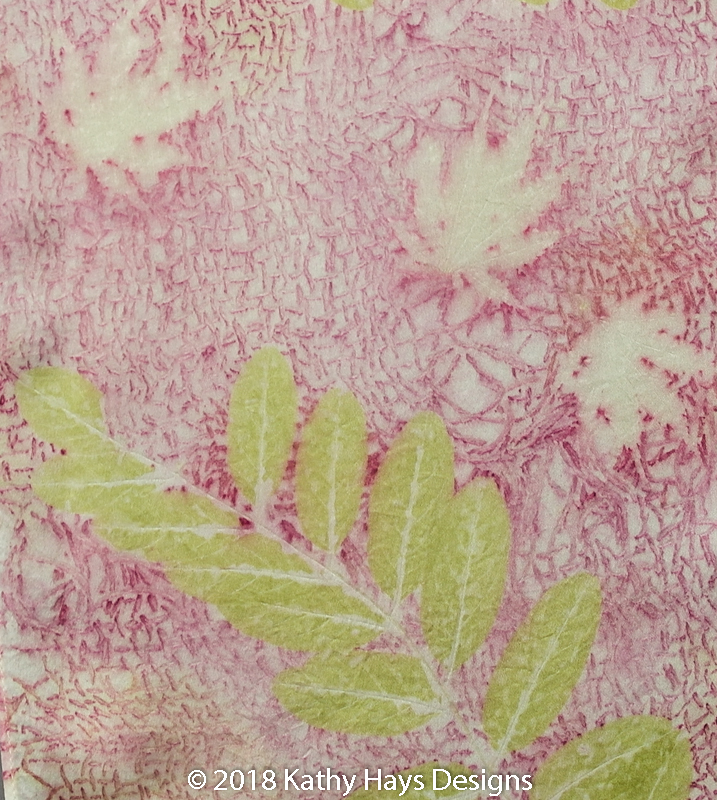 Have you experienced failed botanical prints on fabric? Are you experiencing inconsistent results? Do you have a distinctive quality in your work that is unique to you? Are you feeling lost or stalled with your current work? Are you ready to dream big for your successful art practice! Personalized coaching lets you break through artistic paralysis by offering ideas, concepts and provides direction. It allows you to take risk that you have been avoiding. It provides you confidence and the tools to move ahead. Coaching elps you to silence your inner critic and move beyond your fears. Take charge of your art destiny. Who purchases an 8-Week Coaching Plan? This option is for those artists that seek a deeper meaning and direction to their work, either as small works or in a series. The topics covered can vary from Eco Printing techniques to Natural Dyes and Surface Design. The focus will be on you as the artist needing deeper skills to create the work that sets you apart. This may include specific exercises, certain recipes or techniques to integrate into your body of work. You will receive a questionnaire upon enrollment. This is designed to sort through your work and state your goals with your art. A 30-minute live video meeting will be held upon the return of documentation. This is for us to discuss your personalized plan. This face to face meeting will power you up to stay focused and on task. Each week you will submit photos of your progress and they will be follow up with an email commenting on your progress. Feedback to your work is key. Throughout the 8 weeks there are 3 other live video meetings to discuss your progress and growth. I am passionate about sharing my knowledge and skills with you. When I began Eco Printing I made many mistakes. I was dissapointed, frustrated and discouraged with my results. There was no where to turn for help. I experimented, I took workshops, I read books until I unlocked the secrets of Eco Printing. I am here to save you the valuable hours and wasted natural resources while trying to get the beautiful results you seek. I have shared my knowledge and skills with hundreds of people. Watching students jump for joy or squeal in delight as they open their bundles. I would like to personally invite you to join me to learn how to make Eco Printing fun, exciting and have success! Are you ready to make an investment in your real, orignial and bona fide art?